LinkExchange SearchMe WhatWeDo AboutUs Sitemap Next page MECHANISATION FIGHTS INFLATION, what we do and how we work. We are a group of Dutch companies specialised in the mechanisation of the final phase of the farming process: from field to fork. MECHANISATION FIGHTS INFLATION, the group. We are a group of Dutch companies specialising in the mechanisation of the final phase of the farming process: from field to fork. The Netherlands is the largest global exporter of onions, potatoes, carrots and several other agricultural products, proof that the Dutch know how to continually grow these products and sell them at globally competitive prices; if that were not the case, they would not be the world's no.1 exporter. Why have we created this website? After giving a presentation in Mexico on the mechanisation of the harvest and postharvest processes (at the request of Numhems, a large onion seed grower, now part of the Bayer group), I was invited by some local farmers to visit their onion fields. 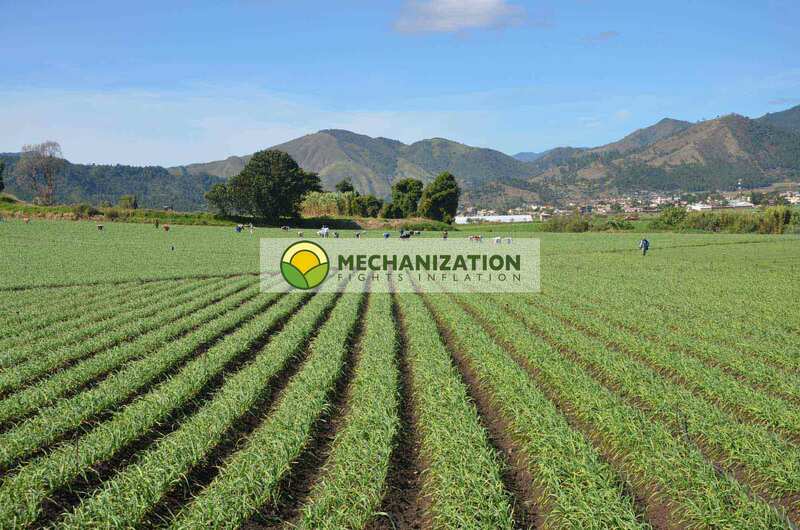 It was when I was walking through a field of over 500 hectares of onions, where everything was done by hand, that I suddenly realised that both growers across the whole of Latin America and the companies belonging to our group, have a great opportunity to mechanise a considerable part of Latin America's agriculture. In the Netherlands, farm suppliers have specialised in individual phases of harvest and postharvest processes, in other words, from field to fork. SAMON/ELLENS, for example, specialise in harvesting equipment; but how do you sell this to growers who do not even have storage or handling equipment? What would these growers do if they had 30 tonnes arriving from the field per hour? AGROVENT SYSTEMS B.V., for example, specialises in all types of storage facilities; but what use is a large, efficient storage facility without the equipment to fill and empty it? Without the equipment, the storage facility is rendered useless. Eqraft specialises in all areas of handling, including: receiving belts, sorting conveyors, sizing tables, industrial scales and packing stations, with as much capacity as required. The handling lines are bespoke and tailor made to meet each grower's preferences. SKALS specialises in all areas of handling, including: receiving belts, sorting conveyors, sizing tables, industrial scales and packing stations, with as much capacity as required. The handling lines are all bespoke and tailor made to meet each grower's preferences. Verbruggen Emmeloord BV specialises in all types of palletisers. Imagine a packing line with a capacity for 600 sacks of potatoes, each weighing 22.7 kg, where each sack needs to be placed onto pallets by hand, hour upon hour. Marcelissen B.V. processes almost every fruit and vegetable: root vegetables such as carrots, tubers such as potatoes and maniocs etc. They clean, peel, chop, slice or cube them. LCPackaging, , one of the world's largest mesh bag producers, which sells their products at very competitive prices. We have noticed that these bags are very expensive in Latin America. Mulder Onions y Beemsterboer, two international onion and potato exporters. These companies form the core of our group, although every year we welcome new companies to meet the needs of farmers and governments in each area or region. Next up: MECHANISATION FIGHTS INFLATION, what we do and how we work.